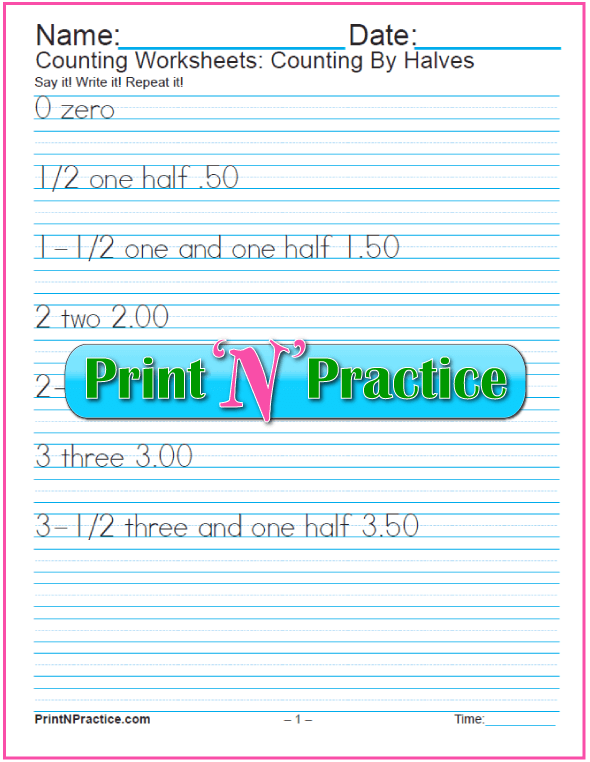 Number Writing Worksheets: Practice writing the numbers and the words, manuscript and cursive. 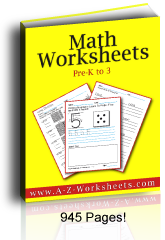 You'll find that number writing worksheets are so helpful in all of the early grades. Little ones appreciate the model and older children appreciate the easy reminder lesson. I've even seen K-6 students who like practice writing the numbers, but also high school students for practice writing checks! 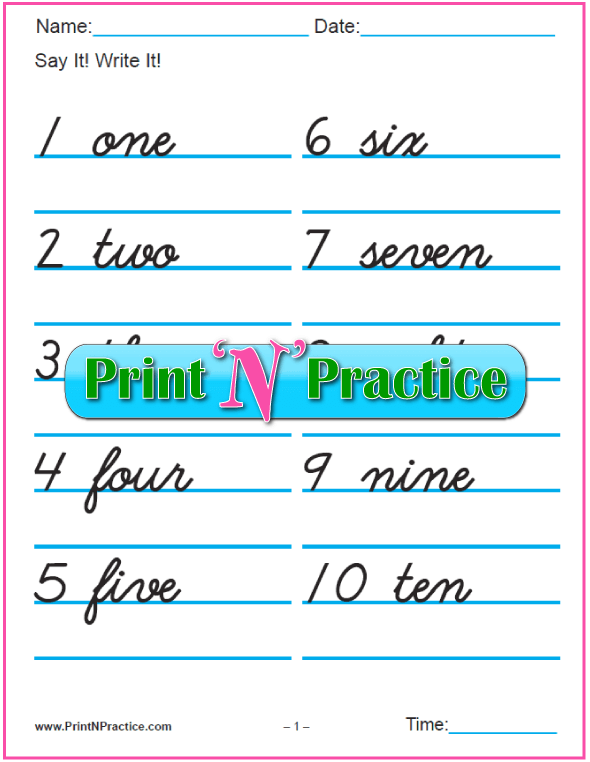 The first worksheets below are for beginners and the rest move up in number writing difficulty. Choose the one that's right for what you're teaching now. 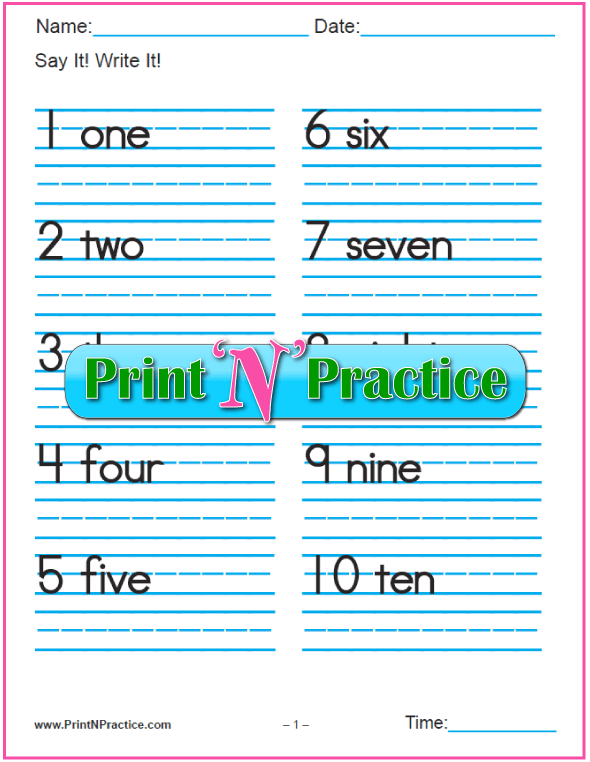 These are super direct worksheets for writing numbers in words in both manuscript and cursive writing: 0-9, 1-10, 1-100. I find that writing numbers in words is the best way to make the association between the numerical symbol and the printed word. This can really help little ones associate 2 with two and 4 with four, instead of mixing the spelling with the prepositions that have the same sounds. 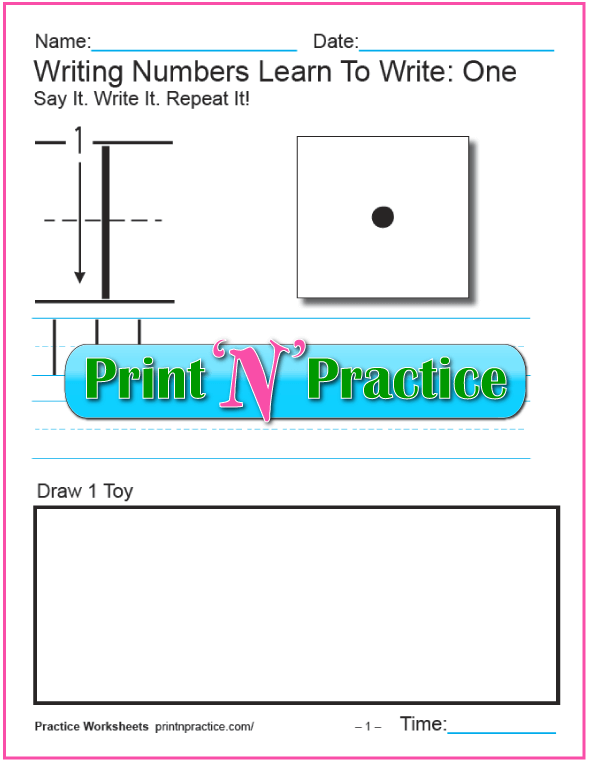 These are wonderful beginner number writing worksheets. Kids can practice the elements that you want them to learn: tracing or writing the numbers and drawings that show the number of units written. These worksheets come in both ruled and un-ruled versions. The last set has the numbers written in cursive. 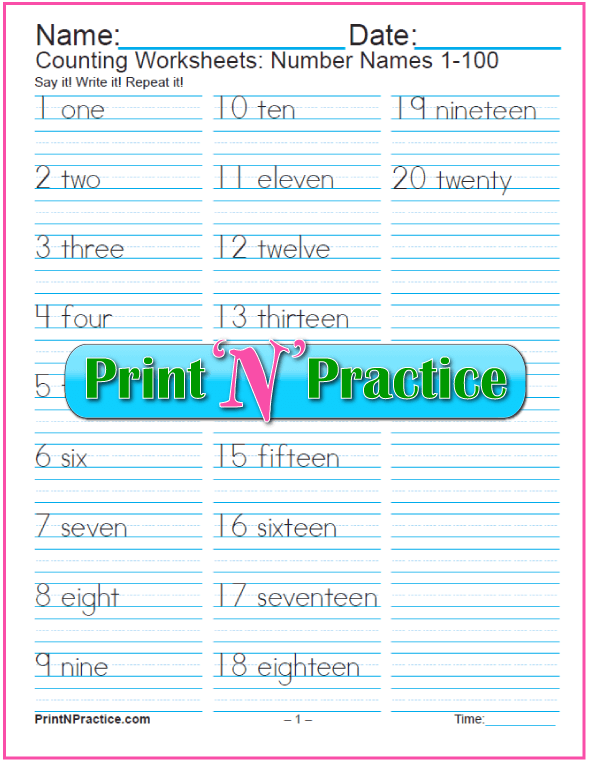 Writing numbers in words is great practice for Math class. 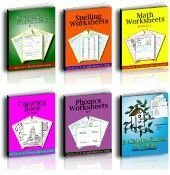 Every year, I like to give the first set of these number writing worksheets as either a spelling list to test on Friday or as review. So many times kids simply forget how to spell the numbers or need a mind jiggler to remember how to hyphenate the numbers in words. The first download has 6 pages and the second has three. The second counts by halves from zero to 10.00. 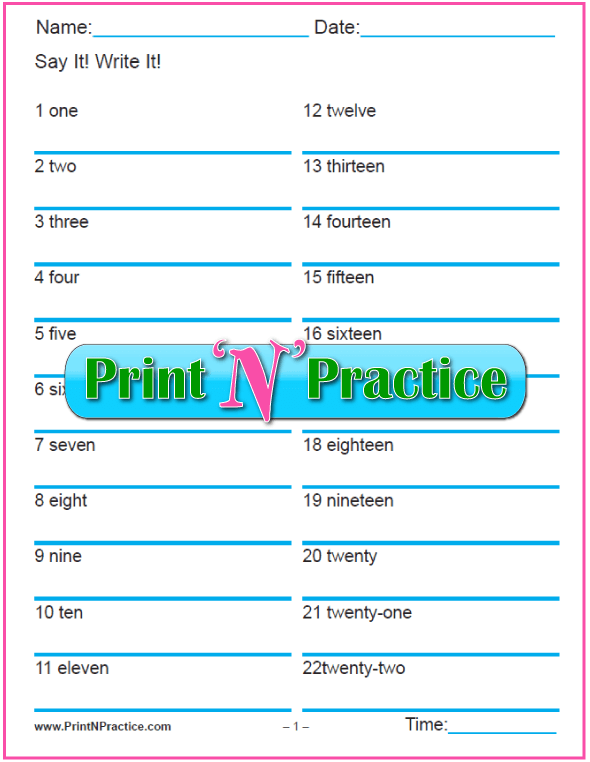 Older children love these number worksheets. They need to be able to spell the numbers and remember how to hyphenate them. AND how to spell the names of the stores. Use colored paper for a fun effect! 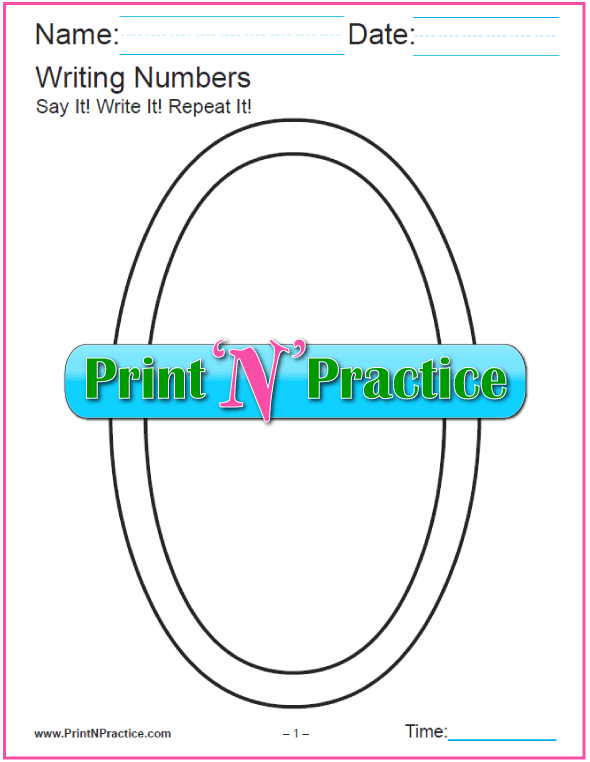 Go to our practice writing checks page for faux checks to print and list of store names to practice spelling the titles. 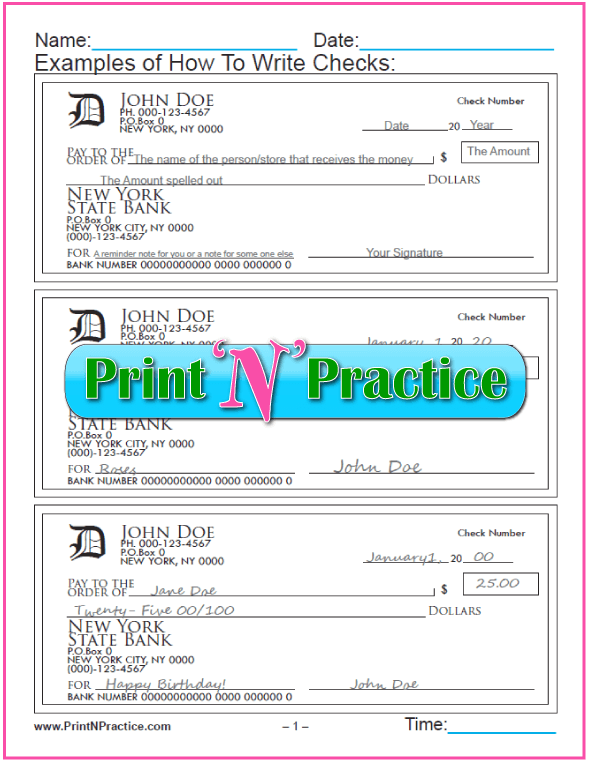 Practice Writing Checks for kids and adults. Hey! Brush up and remember how to write the numbers. 6th Grade+ Practice Writing Checks with number and store name spellings.